There’s been so much about healthcare costs over the past few years, much of it centered around the President’s new healthcare laws. It can be difficult to work through it to get a realistic idea of what to expect. According to Fidelity Investments, the average 65 year old couple will spend close to $400,000 in just out of pocket medical expenses alone until the age of 92. This does not include any long term health costs. 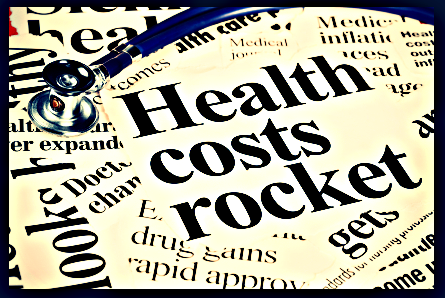 Medicare helps, but it can be costly and remember, Medicare doesn’t cover long term healthcare. If there’s no private policy used with Medicare, a couple could find themselves spending thousands – up to $7,000 for the Medicare premiums alone. It is true that Part A, often referred to as “traditional” Medicare, does cover hospital benefits, but to receive Part B coverage, which takes care of outpatient costs, you have a premium that must be paid. Add Part D and its prescription drug coverage, you’re looking at another premium. Estate planning is an important task that many believe is limited only to ensuring assets are passed down in ways they wish. That’s true, but that’s by far the totality of it. For couples, estate planning ensures the surviving spouse will have enough money to live on. Too many times, people don’t plan for the reduction of income after a spouse dies. If both are receiving Social Security benefits, the shock comes when they realize a large portion is no longer going to be coming every month. There does exist the option of changing over to receive survivor benefits if that’s a better solution, but no matter what the surviving spouse does, it won’t equate to the income he received prior to a spouse’s death. There are benefits to delaying retirement credits, including the possibility of an added income, but even then, it’s only 8 percent. After the spouse’s death, the widow or widower can then transition to a benefit that includes 100% percent of the benefit – but this is something that has to be done ahead of time. There’s a consistent formula that is applicable for most before they hit full retirement age. It basically comes down to sacrificing one dollar in benefits for every two dollars earned over the annual income limits. That’s another low threshold that could cause problems. There are so many uncertainties when it comes to healthcare costs after retirement. Ensuring you have sound legal advice is the first step in protecting what you’ve worked hard to build. To learn more, please download our free Ohio advance care planning here.